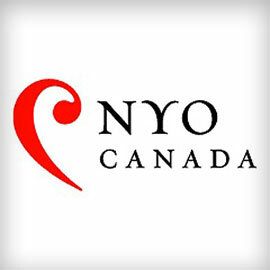 We are pleased to welcome the National Youth Orchestra of Canada (NYO Canada) to campus between June 19 to July 21 for their summer training institute hosted in the Faculty of Music facilities and sponsored by the JP Bickell Foundation. During their time in Waterloo, NYO Canada will host the Good Foundation NYO Canada Chamber Music Festival with a series of faculty and students concerts in the Maureen Forrester Recital Hall sponsored by Good Foundation Inc. Many concerts are free or by donation. Thursday, June 22, 8 p.m.
Sunday, June 25, 8 p.m.
Friday, June 30, 8 p.m.
Monday, July 3, 8 p.m.
Friday, June 23, 8 p.m.
Wednesday, June 28, 2 p.m.
Thursday, June 29, 8 p.m.
Friday, June 30, 2 p.m.
Sunday, July 2, 8 p.m.
Tuesday, July 4, 8 p.m.